Leadership - what is it? Getting Things Done When You are Not in Charge, by Geoff Bellman. Influence: The Psychology of Persuasion, by Robert Cialdini. 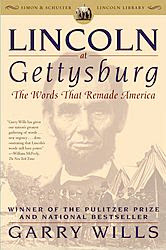 Lincoln at Gettysburg, by Garry Wills. Lincoln on Leadership, by Donald T. Phillips. On Becoming a Leader, by Warren Bennis. Changing Minds: The Art and Science of Changing Our Own and Other People's Minds, by Howard Gardner.